Introduce your children to the practice of mindfulness so they can learn to reduce stress, regulate behavior and emotions, and develop a positive self-image along the way. Mindfulness and meditation are becoming increasingly integrated into everyday life as effective ways to improve both physical and mental health. Make sure the whole family—even the little ones—are embracing the full range of benefits with Mindfulness for Children. Start your family’s mindfulness practice with these exercises for achieving peace, calm, and positivity. These simple activities will help you and your child get ready for bedtime, calm down after a stressful situation, discuss your feelings in a safe environment, and more. For example, for energetic children, try a short walk or do some easy, calming yoga poses to sharpen focus. 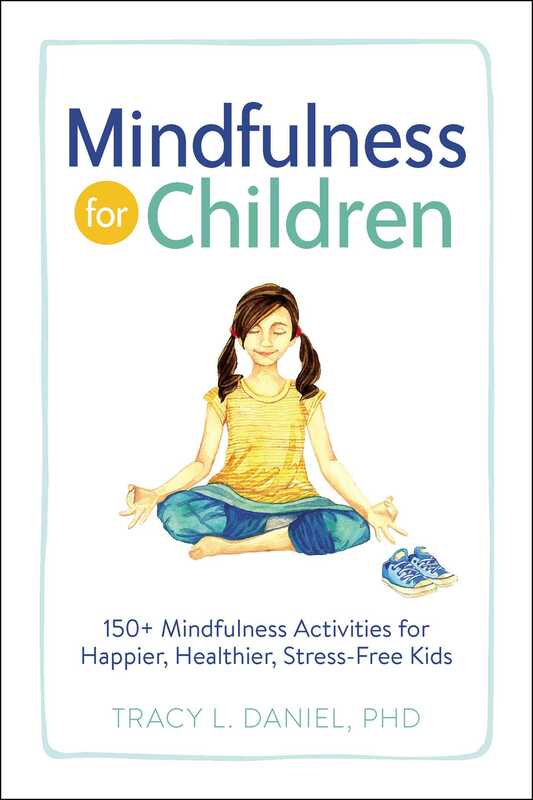 With over 150 meditations for different situations, there’s a strategy in Mindfulness for Children fit for every moment and every family. Tracy L. Daniel, PhD, is the founder and director of Mindful Child Aerial Yoga, a kids’ aerial yoga studio providing research-backed aerial yoga and mindfulness education to children. Dr. Tracy’s classes provide social and emotional learning that helps children focus, reduce stress, and improve executive functioning. Through years of working with mindfulness, yoga, and Brain Gym in her psychological work with children, she has had phenomenal success significantly decreasing hyperactivity, anxiety, and stress by teaching children how to self-regulate their behavior using health-based practices. You can visit her website at www.MindfulChildAerialYoga.com.